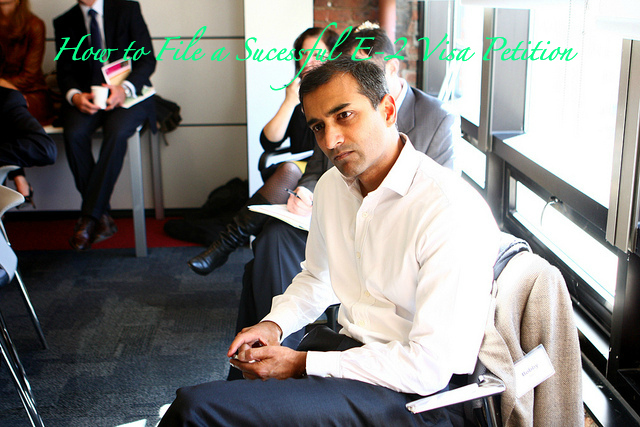 For this series, we bring you our top tips for filing a successful E-2 visa petition. The E-2 treaty investor visa is a non-immigrant visa that allows foreign entrepreneurs from treaty nations to enter the United States and carry out investment and trade activities. Investment activities may include either the creation of a new business venture or purchase of a pre-existing business. The investment must be significantly proportional to the total investment, that is, usually more than half the total value of the enterprise or, if a new business, an amount normally considered necessary to establish the business. The E-2 ‘investor visa’ is available to an applicant who invests a substantial amount of his own money into a U.S. business, which he can control and direct. Foreign nationals from treaty countries who have made a substantial investment in the United States may qualify for E-2 Treaty Investor status. There is no set minimum level of investment, which may qualify for E-2 status, however the lower the investment the less likely one is to qualify. Therefore, the level of investment must be such that it is sufficient to justify presence of the treaty national in the United States. For the E-2 visa petition, the United States business entity serves as the petitioner of the visa petition, while the Beneficiary serves as the investor. If you do not know how to properly set-up your business entity, you should consult with and retain a licensed attorney to properly set-up the business entity for you. Proper set-up of a business entity, entails much more than filing the company’s Articles of Incorporation, Bylaws, and applying for a Federal Employment Identification Number (EIN) with the IRS. It is for this reason that many applicants are more comfortable retaining a licensed attorney for the E visa process. Our office handles this aspect of the application as part of the E visa preparation package. Proper set-up of the business entity ensures that the entity is a bona fide business enterprise that is real, active, and producing goods or services for profit. Improper set up may cause the denial of a petition and increases the company’s liability. This is a very important aspect at the individual level, since the business structure that you choose for your business entity, will have an impact on the degree of liability and taxation. The most popular business structures for the E visa are Corporations and Limited Liability Companies (LLCs). It is recommended that you consult a Certified Public Accountant (CPA) to evaluate the pros and cons of each type of business structure, and help you determine what type of entity would be most appropriate according to your needs. Shares or membership interests of the business entity should be purchased by the beneficiary with the investment money. Individuals who do not invest a substantial amount of funds in the creation of a new business or a pre-existing business risk being denied. In these cases, CIS will often determine that a substantial investment in the enterprise does not exist and that the funds are not irrevocably committed to the enterprise. A business plan is strongly advised for an E visa petition. The business plan is a written document that provides the reader with a rough idea of the company’s strategic future. A good business plan explains what goods and services you will offer, describes your assets (including employees and equipment) and financial resources, describes your expenses, provides a 3-5 year projection outlining your company’s plans to increase revenue, and explains how you will stack up against your competitors. There are dozens of companies which offer services to develop a business plan for your entity. Our office is associated with reputable business plan writers for your assistance. In addition to a business plan, Pro-Forma Financial Income Statements are also required for a period of five-years. The investor must prepare a very detailed statement explaining the source of the investment funds. This aspect is extremely important for the E visa, because the investor must prove that the funds were not acquired by illegitimate/criminal means. In support of the statement, the investor must provide documented evidence that the funds were acquired through legal means. The purpose of the statement and documentation is for the investor to demonstrate a clear and legitimate path regarding the source of the investment capital. Spend the investment money on a lease, office equipment, furniture, inventory, licenses, etc. and acquire a paper trail which you will use to demonstrate that the business entity is a bona fide enterprise. The investor must prove that they have invested a substantial amount of funds in either a new business or pre-existing business and that the funds they have invested are ‘irrevocably’ committed to the enterprise. The following evidence may be provided as proof of substantial investment and commitment. E visa applicants often forget that the E visa was created to benefit the American economy and American workers. It is important for the Beneficiary of the E petition to understand that the company will be required to hire U.S. workers. The purpose of the E visa is not solely to benefit the investor and his or her family. For more information about the E-2 visa please click here. For a free legal consultation please contact us, your immigration is our passion.